This is my second year participating in The Great Food Blogger Cookie Swap and I can’t even begin to tell you how much fun it has been. 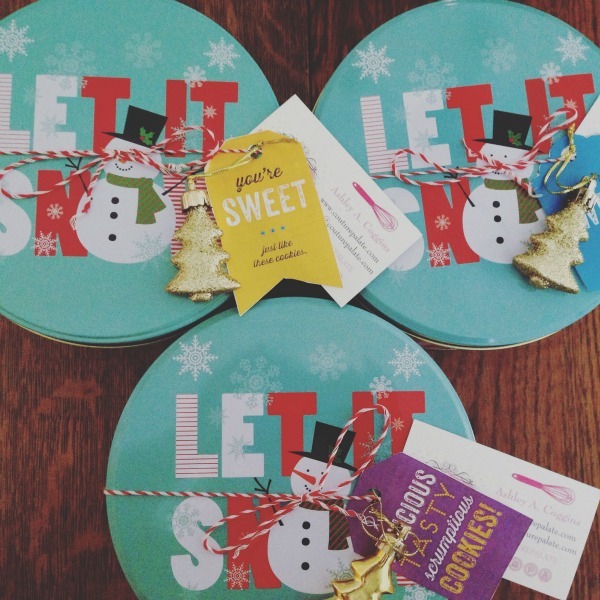 You sign up in the fall and receive three cookie recipient matches (fab food bloggers) like a Secret Santa swap. Send each of them one dozen homemade cookies and receive three different batches of cookies in return from other bloggers. When its time, you post your cookie recipe on your blog and then you can see all the other wonderful cookie recipes of everyone else who participated. It’s awesome cookie madness! The other great thing about this cookie swap is the partnership with Cookies for Cancer, a national non-profit organization committed to funding therapies to fight pediatric cancer. What a way to give back and help support a good cause. 475 food bloggers signed up this year and $7,000 was raised for Cookies for Kids’ Cancer! YESSS!!! 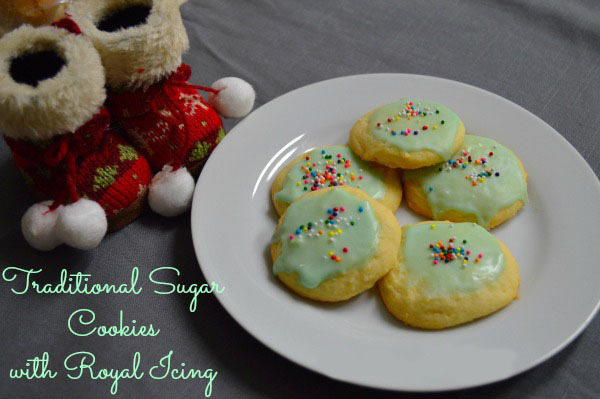 The recipe I chose to make this year is my family’s Traditional Sugar Cookies with Royal Icing. I’ve been making this cookie recipe with my family for as long as I can remember. 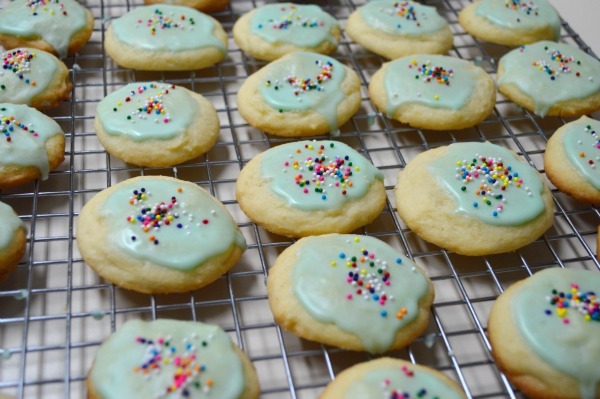 What’s so great about this recipe is that you can make the cookies into any shape, color or size that you want. You can’t just eat one. I love the buttery sweetness to this cookie. It pairs perfectly with a cup of tea or a cold glass of milk. I loved the cookies I got this year! A big thank you to Faye, Melissa & Karla for the yummy cookies! Thank you to OXO, Dixie Crystals and Land O’ Lakes for matching the donations and the great goodies too! I can’t wait to participate again next year. Thank you so much Julie and Lindsay for organizing this great event! Check out their websites this weekend as they post all of the cookie recipes from this year’s swap. You can find plenty of inspiration for your next cookie recipe! Cream 2 sticks of butter and both sugars til fluffy. Add eggs and vanilla. In a separate bowl, whisk flour, baking powder and salt. Slowly stir in the dry ingredients into the butter mixture until well blended. Chill dough for 30 minutes. Roll into balls and flatten. Bake at 350 for 15-17 minutes. Mix all ingredients together with a wooden spoon until thick and smooth. Add more water if icing is too thick.